As I sit at my desk writing this post on my iMac, my iPad is playing an Amazon Prime video. I found a new series to get hooked on: BBC's "Sherlock." C'mon now. Had to after watching "Star Trek Into Darkness." My iPhone and MacBook Pro are both plugged in and charging so they'll be good to go tomorrow. Batteries for both my 5Ds are also charging. I tell you this not to boast but to share a revelation that struck me as I walked back to my workspace after having let Starbuck out for a potty break: I too easily become numb to the blessings in my life. Doubtful I am alone in this. I think that it's too easy to get caught up in the day to day "stuff" that we forget to slow down and just appreciate all that we have. From the people in our lives to the things we own to the food that we eat, there is a tendency to take it all for granted. I often watch period films and think, there is no way I could have lived back then. I love my modern conveniences too much. All of my Apple products and cameras, for example. Showers, washing machines, grocery stores with rows of packaged meat, eggs, bread and being able to open my refrigerator to find all the condiments I like to use regularly. My bedroom and it's balcony are my only space in my grandmother's home so I have it set up like a teeny studio. That said, the fact that I have a mini fridge in my bedroom filled with ice cold water jugs, fruit, nonfat milk and of course a bottle of wine (or two) shouldn't surprise. Or the fact that right next to my mini fridge is my absolute favorite gadget: my dual broiler Pro Line KitchenAid espresso maker that for a while was getting used multiple times a day (alas, KitchenAid has ceased production of this wonderful machine!). So yes, I like my creature comforts. I can't imagine having lived in another time. Me, an early settler way back when homes were so far from "town" that it took most of the day to walk to and back from the one general store? Laundry by hand in the creek? Milk a cow anyone? Not if you're a city gal like me. Bake bread daily? Uh, no, thank you. Make my own version of Grey Poupon? Did they have ketchup back then? Who can eat eggs without ketchup? I like my meat in packages. I don't want to slaughter it myself. I can't help it. I'm just a modern city gal. Through and through. But I am trying to slow down and appreciate the simple things … the quiet things. Like reading an actual book, writing an actual card and walking my dog around the neighborhood. Luckily, I am not one that comes home and has the need to turn on the TV to fill the house with noise. Not that I haven't done that on occasion but it is not the norm. No, I like quiet time. Just sitting on the balcony, sipping ice water and listening to the birds in the beautiful tree in my grandmother's front yard and hearing the kids play across the street and the neighbor dogs bark when dogs walk their owners down our street. This scene is made all the more serene by my gazing at my beautiful girl sitting in the chair opposite me one eye closed, the other on me watching me watch her. Ahhhh! Shake! Shake! Shake! … Shake! Shake! Shake! Shake your Mason jar. I think that is why I love cooking. And I mean real cooking. Not reheating. Not throwing something together quickly after work just to silence the growling and rumbling. I mean the dicing and slicing, the rinsing and drying, the sautéing and sifting. The last couple of times I've baked, I've even skipped breaking out the KitchenAid stand mixer and opted for a large bowl and a wooden spoon. Watching the batter or dough slowly form and come together even while my hand cramps from holding the spoon is oddly satisfying. 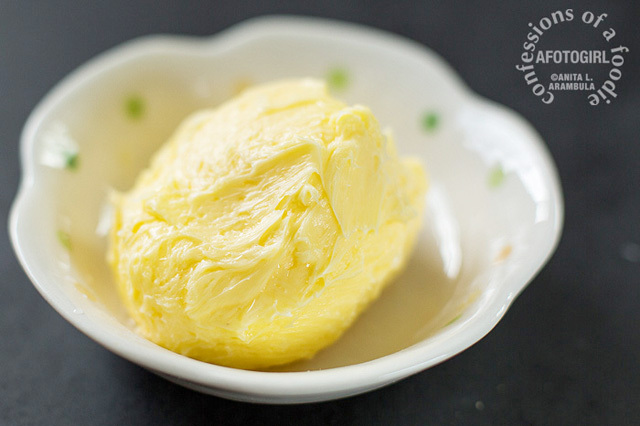 And all of this rambling is leading me to today's recipe: Homemade butter! Yes, I like my conveniences. We've established that. But I remembered my joy and sense of accomplishment when a few summers back I turned a large basket of tomatoes from my father's garden into enough ketchup to send to him and still keep me enjoying homemade ketchup for a few months. Earlier this year, I made bread from scratch for the first time and remembered thinking that homemade butter would probably be awesome on that bread. So I decided to finally give it a whirl. Or should I say, a shake? It's so incredibly easy. Yes, I could have done it with my KitchenAid. But I figured that in my quest to enjoy the simple things, I would do it completely by hand. A trip to my local Whole Foods for fresh organic cream, a clean jar and some elbow grease was all it took to make the most beautiful, bright yellow, creamy sweet butter. I loved it and savored it for as long as I could. I'll definitely be making it again. I hope you give it a whirl sometime. It's really quite satisfying. Step 1: You're going to need the best, freshest heavy cream you can find. I opted for the organic milk sold at my neighborhood Whole Foods. It's from Strauss Creamery in Northern California. 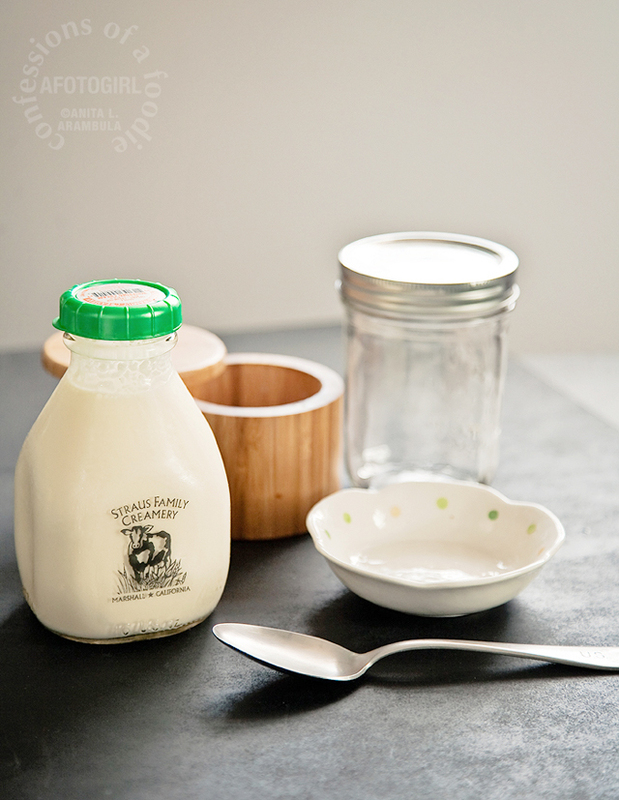 I've been a fan of their milk for a long time so it was a no-brainer to use their organic cream. 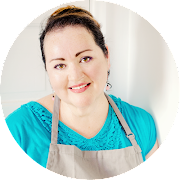 You're also going to need a clean jar with a tight-fitting screw top and some kosher salt (besides the added flavor, the salt also helps preserve the butter). My pint of cream produced about a quarter pound (one stick) of delicious butter. Step 2: Fill your jar only half full with the ice cold cream. You'll need the room to aerate the cream as you shake. Screw the lid on tightly and shake vigorously. Up. Down. Side to side. Consider this a workout. Up over your head. Shake. Shake. Shake. To the side. Shake. Shake. Shake. Down low. Shake. Shake. Shake. Depending on your shake technique, somewhere between 8-10 minutes, the cream with be thick and frothy. At about 12 minutes or so, you'll start to have a whipped cream consistency. Continue shaking. You might think that you're getting no where by now because it will be so thick and almost seem to not be doing anything. You could, if you wanted to, add a clean marble at this point to "churn" the whipped cream or you could just keep at it. Which is what I did and at about 15 minutes, the fat began to separate from the buttermilk. Keep shaking. 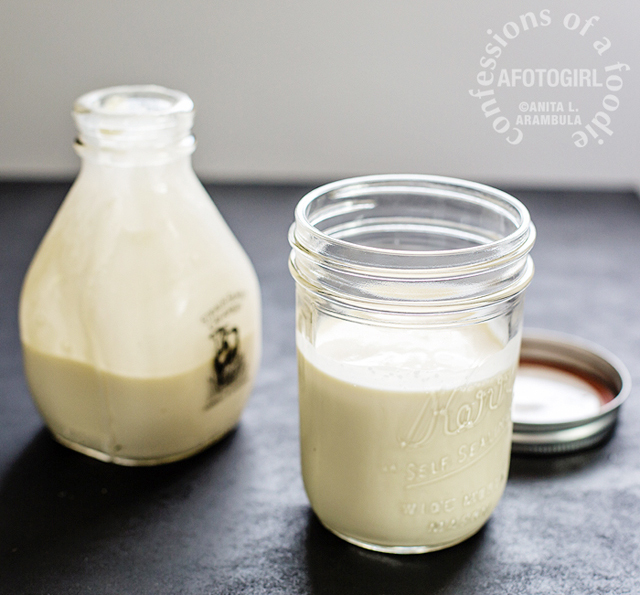 Step 3: After 18 minutes of shaking, the fat has completely separated from the buttermilk. 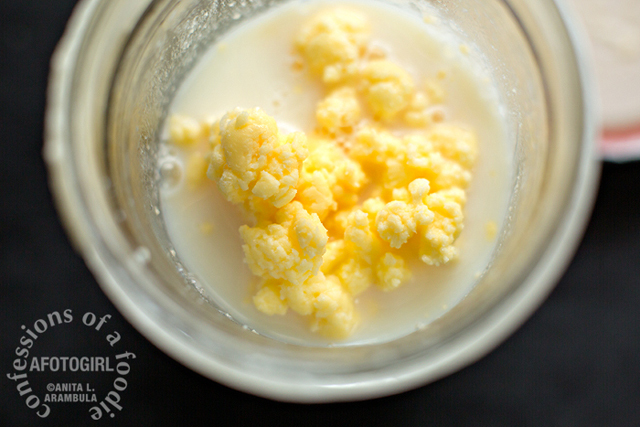 Now this buttermilk is called "traditional buttermilk." It is very thin and no where near the body and acidity levels of the cultured buttermilk you pick up in your local grocer. Some people suggest going ahead and saving this to bake with but lacking the tang of cultured buttermilk, I opted to toss it. So, once nothing continues to form after shaking, go ahead and drain out the buttermilk, then fill the jar with cool water halfway up, screw the lid tightly and shake vigorously for 1 minute. Drain and repeat until the water you drain runs clear. The purpose of this is to ensure you are removing all the buttermilk from the butter. This will help inhibit your butter from early spoilage. Step 4: Once the water runs completely clear, remove your freshly made butter to a small dish and stir in 1/4 teaspoon of kosher salt for table use. Or leave it unsalted for baking (just be sure to freeze or use within a week or so). 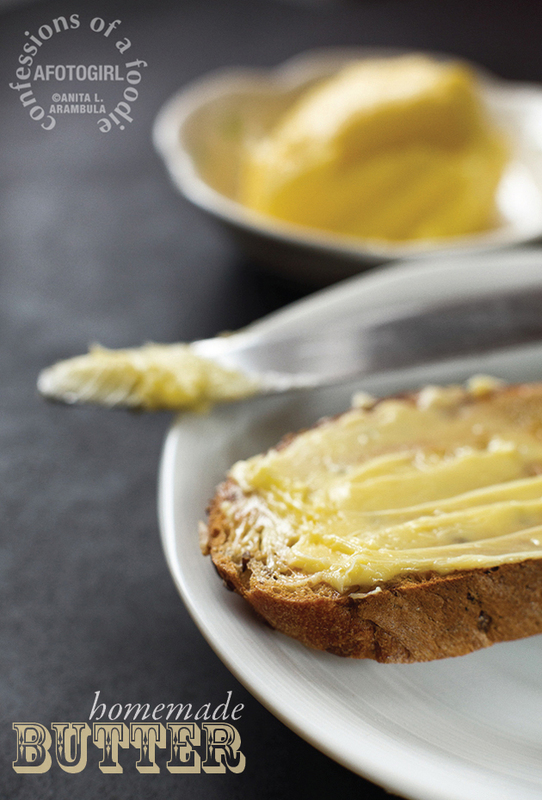 You can also add your favorite herbs, or lemon zest or honey to this butter. This fresh butter lacks the preservatives of commercial butter so do keep it refrigerated when not in use and or place it in a small plastic container and freeze for future use. This butter was so delicious. I was able to keep it for two weeks without spoilage before running out of it. I do plan on making this more often now that I know how. Simple. Delicious and no added stuff I can't pronounce. That's pretty dang pioneer-like of me, no? 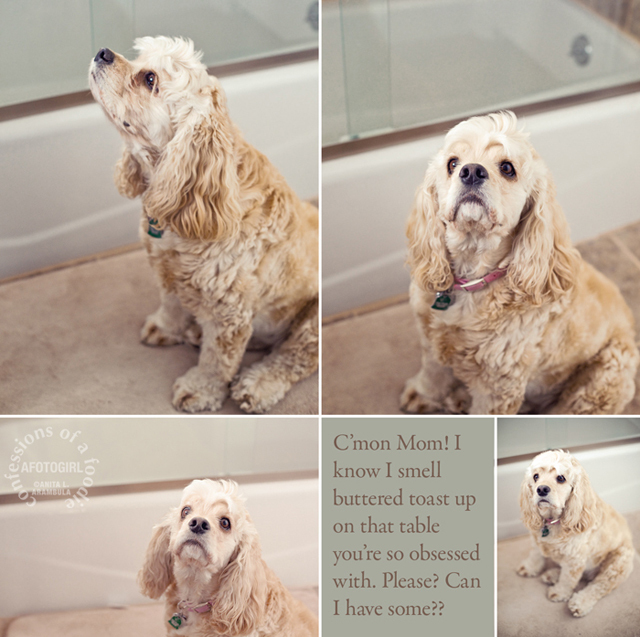 Starbuck was at my side the entire time I was shooting the final image in the series: the hot buttered toast which she was dying to chomp on. Funny, beautiful girl. Yum! I love homemade butter! I've never done it in a jar though. I'll have to give it a try. I've become quite fond of it myself! :) And same here! I am very pleased I got the chance to meet you. Your sliders were delicious! Ani, what a great idea. 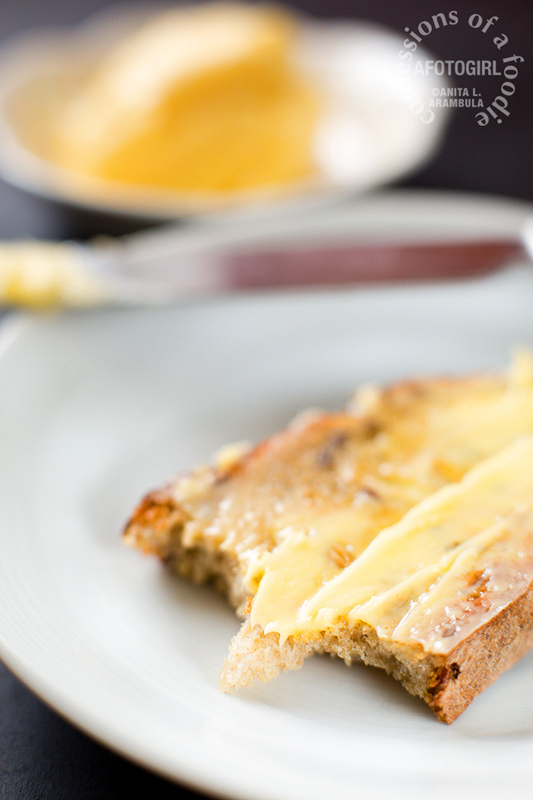 Toast, butter & cheese w good tea feature often on the Armenian table. I've gotta try making my own butter.